Births vs. deaths: How does your county compare? 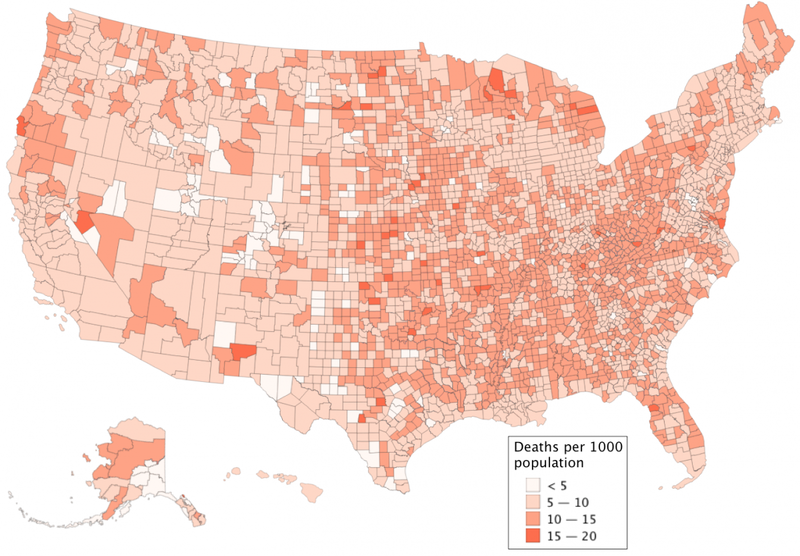 This map, using data from the U.S. Census Bureau, shows births minus deaths in all counties in the United States. The data is from July 1, 2012-July 1, 2013. 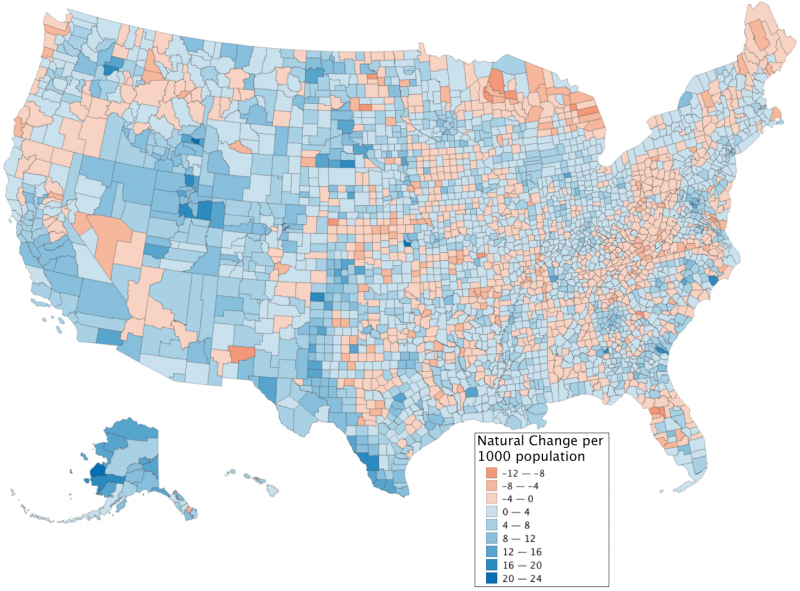 Counties in blue are adding natural population, while those in red are in decline. My county, Blue Earth, in Minnesota, is a light shade of blue. But several counties just to the south of Blue Earth are a light shade of red. Once you get out of Mankato, especially to the west and south, you get into more rural areas that generally struggle to keep their young adults. This shows the number of deaths per 1,000 people. You can see there are very few counties in white, which depict fewer than 5 deaths. However, three of those counties are in the Minneapolis-St. Paul metro area. If you want to live a long time, I guess the Minnesota suburbs are the place to be! Or apparently, the Colorado Rockies. How does your county compare? More detailed information in Business Insider.